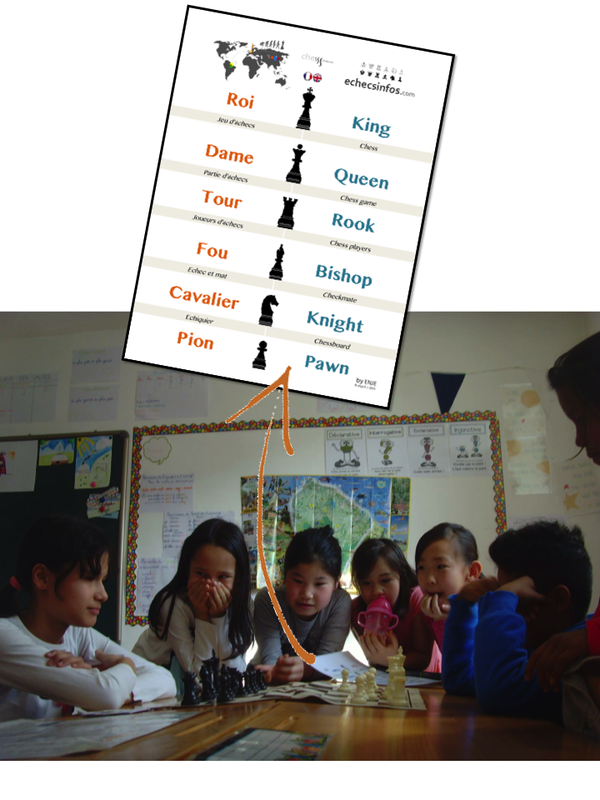 We are pleased to give some fresh news from the Chess at school in Népal project. Together with some representatives of the french chess community, ChessSolidarity made a cash donation of 540 euros (1) to the french ONG Little World Népal (LWN). From 31 october until 1 december, 12 volunteers from LWN visited small villages (north-east from Katmandu) and delivered school material and games, clothes, as well as money to re-build houses. The travel is detailed on LWN's blog. Remember the chess sets we bought in Paris ? those who attend a director meeting at the French Chess Federation ? who take the TGV (fast train) to a little place in Bretagne called Saint-Jacut ? 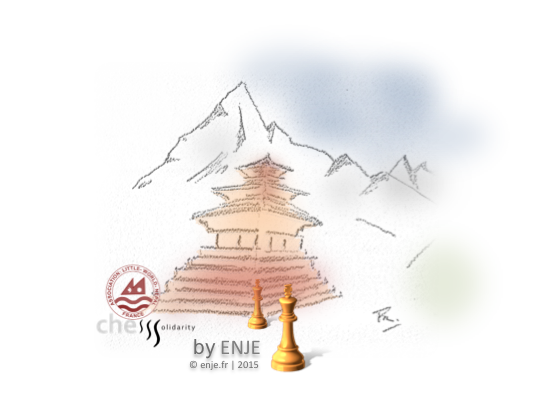 Our (your) chess sets were offered at the village of Magadeurali (Dolakha district). 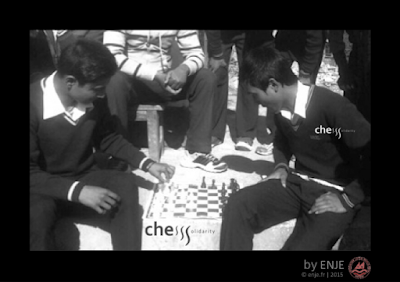 Obviously, the photo send to us show that our students need some chess training. Any teacher to help ? We are pleased to announce that DOCENDA, the french ONG who aim to built a school at Anjanojano (North west of Madagascar) as completed is work. Children from the village have now a stone house made with local material. See more on Docenda web site. 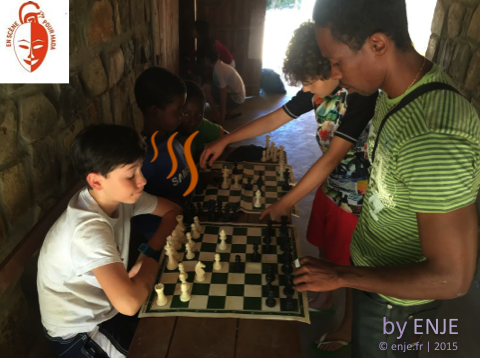 Our young Ambassador Valère was able to teach and play chess this spring. We were told that Fidi, the local young night watchman, who discover chess 2 years ago is still fascinated by the game. When he has no one to challenge he even plays against himself. Congratulation to Valère and to Irene Petit from Docenda who made a dream come true. 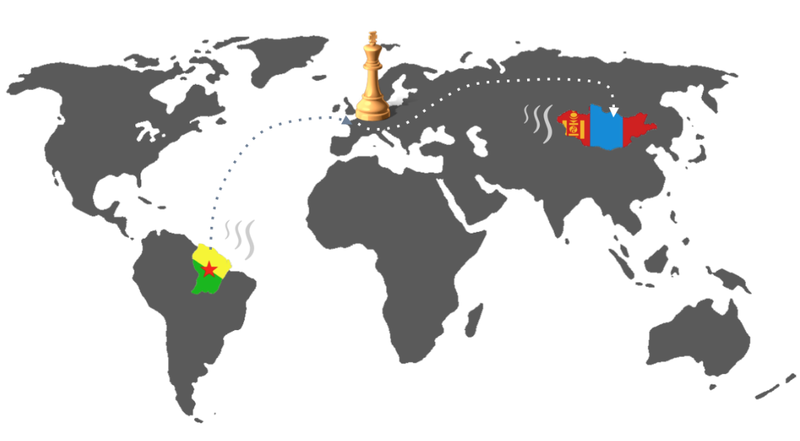 ChessSolidarity is proud to be a small part of the story. In February 2015, Wilfried and Norlène from french Guyana, went to Paris, Moscou were they visited the brand new chess museum and from there, all the way to Mongolia and the international french school based in Oulan Bator. ChessSolidarity organized a VIP chess day in Paris with a simultaneous game against Olivier Renet (GM), and we were honored by the presence of Laurent Fressinet (French Champion). A poster with chess pieces names in french-english was offered. And it can be seen now on the picture below taken in a class of the french school in Oulan Bator. The whole story was made possible thanks to Daniel Baur, their teacher and director. Congratulations to him and to Wilfried and Norlène who made a dream came true. 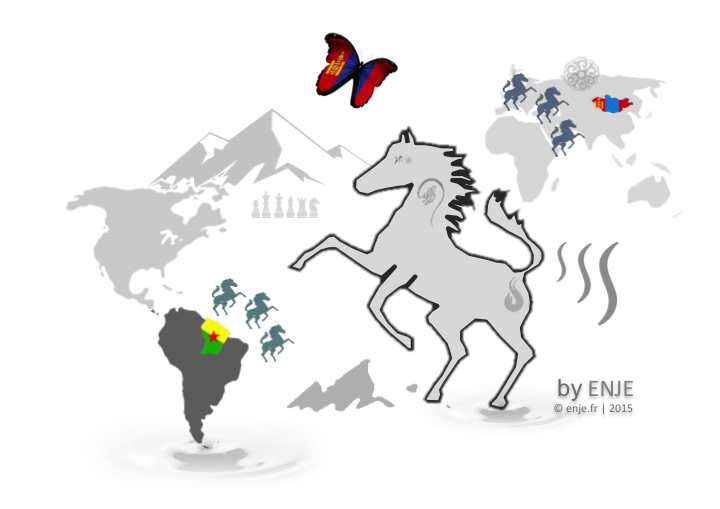 With ChessSolidarity GM stands for Guyana-Mongolia. 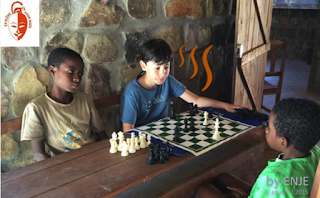 The little chess club Les cavaliers des 3 Palétuviers (Knights from the mangrove), based in french Guyana, has adopted a motto from Mark Twain : They didn't know it was impossible, so they did it. That's why three kids from the Club went all the way down to Australia last year. In February 2015, Yoan, Wilfried and Norlène will visit Mongolia and the french school based in Oulan Bator. ChessSolidarity his pleased to support the initiative with a VIP chess day in Paris, a little help for the trip, and chess gifts for the Oulan Bator chess players.